In 2013, gold futures had the first annual drop since 2000. That is what happened in the PAPER gold market. The New York Commodities Exchange (COMEX) sells derivatives; the exchange sells the same ounce (1 oz) of PHYSICAL gold or silver hundreds of times. markets that traded actual gold and silver. Gold refineries in Switzerland: Volumes UP 77% year over year (refiners worked around-the-clock; they “had difficulty sourcing gold”). 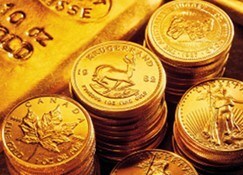 United States: Gold coin sales UP 63% (241.6 metric tons – first three quarters of 2013). U. S. Mint: Sales of American Gold Eagle 1 oz coins UP 14% from 2012. Record-sales of silver coins, UP 30% year over year (Mint halted sales 1 month; distributors were rationed allocations). Perth Mint: gold sales UP 41% (754,635 oz –Perth Mint refines gold for the #2 gold producer; China is #1). Royal Canadian Mint: Canadian Maple Leaf gold coin sales UP 82.5% year over year (876,000 oz – first three quarters of 2013); Mint announced supply shortages of Silver Maple Leafs, and carefully managed supply by limiting the number of 2013 Silver Maple Leafs sold to distributors, causing backlogs with primary/secondary dealers. Turkey: Imported 302 metric tons– 17% of annual world production (Dec. imports UP 64% over Nov.). China: Gold purchases UP 50% (2,500 metric tons – 75% of global production); gold sales UP 20% from Nov. through Dec.
Japan: Gold bar/coin/jewelry purchases UP 300% to 684,809.9 Troy oz. Also, record-demand in Egypt, Singapore, and United Arab Emirates. Record Sales U.S. Mint: Silver sales in 2013 were up 26% from 2012; 42.6 million silver coins sold in 2013. Record Sales India: India swallowed up about 18% of annual global silver production from all mines in 2013; a record 6,125 tonnes. •United Kingdom Royal Mint: SOLD OUT 2014 Sovereign gold coins due to unusual, exceptional demand from countries such as Italy, Greece, and the U. K. Nicholas Larkin, Bloomberg. •Perth Mint: SOLD OUT 2014 Australian Kookaburra 1 oz silver bullion coins. •U. S. Mint: January 2014 gold coin sales were UP 63%/ Silver sales TRIPLED in January, exceeding U. S. production by 1,250,000 Troy ounces. Allocations reduced by 2/3 (2014 American Silver Eagle 1 oz bullion coins) first four allocations to authorized dealers SOLD OUT/ January orders will not ship until end of February/ Older dates available from secondary dealers/ Expect rising premiums. On August 9, 2007 (the day credit collapsed worldwide), the London pm gold fix was @ $662.60/oz. The price of a 1 oz American Gold Eagle (below) is now $1,265. Buy the real thing – for liquidity and no third-party risk.